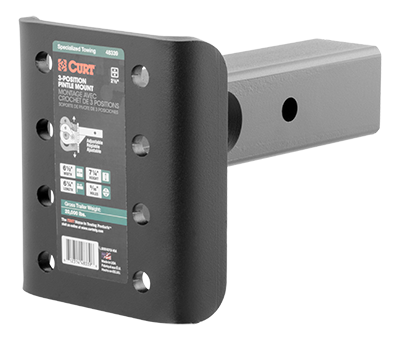 CURT Adjustable Pintle Mounts are a step above the rest. CURT has invested in the technology necessary to produce a full line of exceptionally strong and attractive mounts. Our mounts are robotically welded to ensure accurate, consistent cuts and clean, strong weld lines. Once welded, these mounts undergo a process that creates a flawless surface for the application of highly durable CURT Carbide powder coat finish.